In the US, merchandise worth $4 trillion got abandoned in shopping carts in 2014. 65% of retailers have shopping cart abandonment rate of 50% or higher. 23% of the shoppers abandon shopping when asked for getting their account registered. With the rise in the use of mobile apps, the demand of apps has increased exponentially. Flurry, the leading mobile analytics firm, observed a whopping 174% increase year-over-year in the popularity of the lifestyle and shopping apps in 2014. Thus, mobile commerce is likely to remain a dominant channel for the retailers to monetize. However, every entity proclaiming itself as the best Android app development company needs to efficiently address the shopping cart abandonment issue in the larger interest of the retailers and the shoppers. With Root Info Solutions, discover the shopping cart abandonment factors impeding the mobile commerce. Android app designers and developers should have a clear understanding of the mobile shopper?s expectations, interests and limitations. Unlike e-Commerce or desktop-based shopping, where there is abundant space for the web designers to play with, mobile display is relatively smaller. Hence, they should not overcrowd the app with pop-ups, promotional stickers, extra information, etc. Even if they are under the obligation to provide some or all, they must use the right container without diluting the mobile user?s experience. Android app developers should avoid pushing multiple fields or buttons into one screen. Extra attention should be paid in keeping the user?s glued with the app right from the category and product navigation and search to browsing, adding products to cart and then making the corresponding payment. They should abstain from using unnecessary elements. Low bandwidth is a big reason compelling users to quit a shopping app and switch to another. Remember, mobile users possess no patience at all. The app must get launched with just a single tap. Android app developers should optimize their coding and use the latest resources and tools made available under the Android Studio IDE. They should effectively use the emulator and debugging features and provide a seamless experience to users. 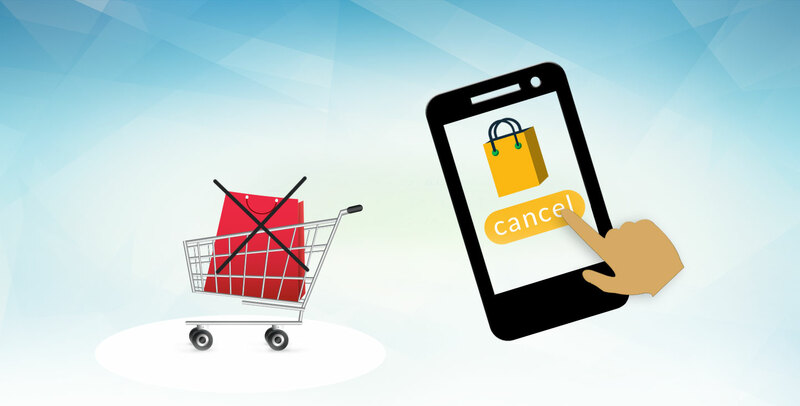 Around 66% of users abandon mobile app shopping when subjected to a tedious checkout process. Experts in the Android apps development discipline in collaboration with their clients should build mobile apps that ask for the little details required to process their orders. However, in no way, the app should compromise the PCI security standards. Apart from minimising the checkout process, developers must be committed towards offering a faster shopping cart experience. Mobile users are multitaskers. Android developers must understand this fact and build an app that remains immune against all phone activities, viz, phone calls, texting, emails, gaming, etc. happening on the sideline of shopping. Assuming shoppers to re-facilitate the shopping details once interrupted by some kind of activities would be purely hypothetical. Hence, no mistake should be done on that part.